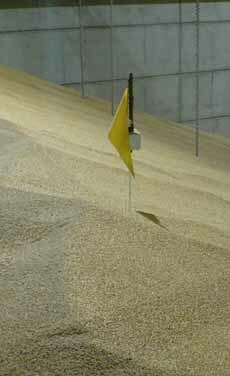 These radio linked lance temperature probes provides the perfect solution to over come the tangle web of wiring normally associated with temperature monitoring of bulk stores. Each lance has a battery life of two years and can provide up to date accurate temperature readings. 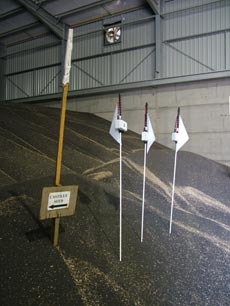 These lances can be linked to many different types of our controllers. 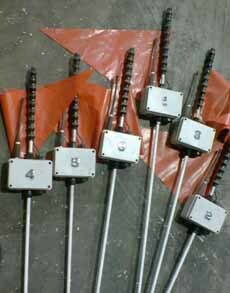 The probes are embossed with a number to easy identification when in the store. 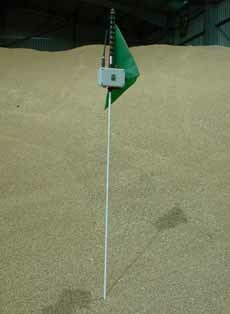 We can also supply clour coded flags to seperate lances into different stores or areas.